At ARYSE, we know that immigrants and refugees are invaluable assets to our communities. 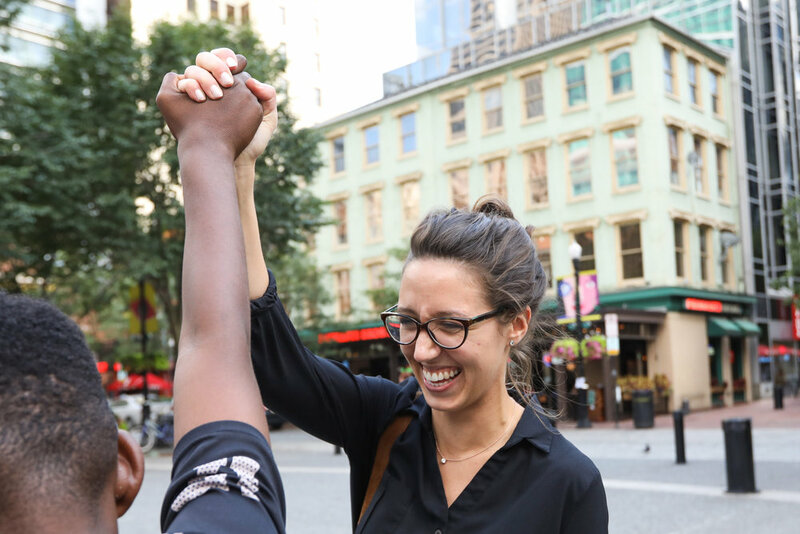 Our students - immigrant and refugee youth living in Allegheny County - are talented, caring, resilient, and with adequate support, will take their place as leaders and change our world. Most of our students have experienced a long and stressful process of migration to the States, and our goal is to ensure that when they get here, they are greeted with the warmth, community, and support they deserve. We know that real-life factors like poverty, discrimination, cultural misunderstandings, and systemic inequities stand in the way of young people feeling a sense of belonging and achieving their full potential. We want the Pittsburgh region to be different, which is why we do what we do. ARYSE began in 2013 as a grassroots effort led by local refugee youth and college students who realized that English learners were being left behind. We organized the only summer program in the region specifically tailored to the needs of immigrant and refugee youth, which centers literacy development and storytelling through creative expression workshops. We grew from serving 25 to 100 youth in a single summer. In 2017, I transitioned to full-time Executive Director, and since then, we’ve brought on a passionate team of volunteers, improved the quality of our summer program, increased enrollment, and established 2 new programs to accommodate the growing and diverse immigrant populations in the region. Our vision is for ARYSE to be an international model for supporting young people as they transition into their new lives. We are honored to continue this work, especially at a moment when it feels more important than every to stand with immigrant and refugee communities. Jenna Baron with a student at PRYSE Academy 2017.